Moncler’s sporty elegance updates the spring wardrobe, delivering a sophisticated declaration of urban style. 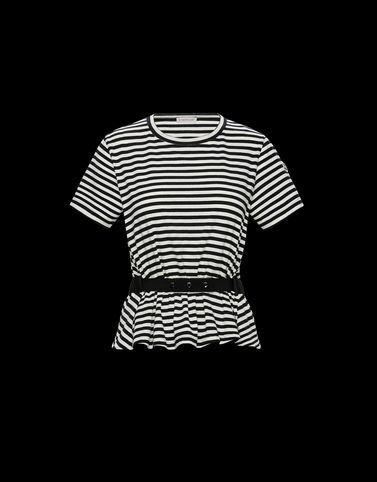 This bicolour striped jersey t-shirt accentuates femininity with a waist belt that sculpts the silhouette. Knitting and high-tech materials enhance the sensual lines of the figure, making it ideal for a metropolitan lifestyle.